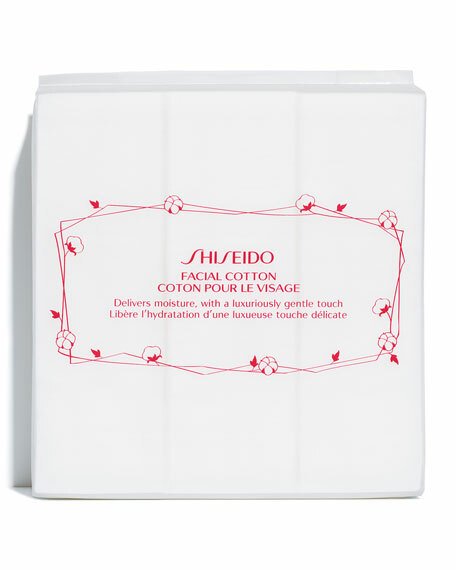 This exclusive Facial Cotton is 100% natural and uniquely manufactured for a consistently soft, smooth texture. Allows for maximum absorption and assists in the application of Shiseido softeners. In 1872, Arinobu Fukuhara, former head pharmacist to the Japanese Imperial Navy, established the Shiseido company as Japan's first western-style pharmacy (which incidentally was also home to Japan's first ice cream parlor and soda fountain). The company's rich and impressive history in pharmacology led to its technologically advanced range of skincare, which is highly regarded by experts and aestheticians around the globe.